Delta “M” fares to Australia are actually reasonable…. Generally Delta fares that can be upgraded with Platinum Medallion Upgrades (PMU’s) are much more expensive than comparable fares at United that can be upgraded with United Systemwide Upgrades (SWU’s). Also, SWU’s can be used to sponsor anyone’s upgrades, while PMU’s can only upgrade the travel of the member with the certs and a traveling companion. 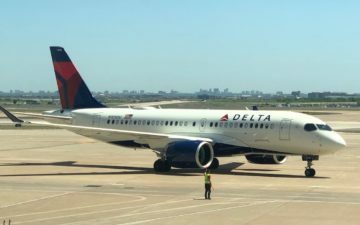 So while “M” fares are typically much more expensive than United’s “W” fares, check out Delta’s fares to Australia, which are surprisingly reasonable. 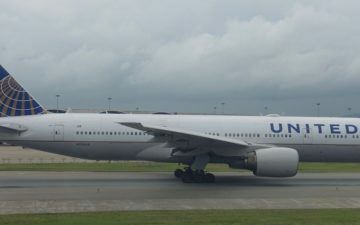 For example, from Los Angeles to Sydney, United’s upgradeable fare for September are around $1564 all-in, while Delta’s upgradeable fare for the same dates are $2064. While that’s $500, we’re talking about burning upgrade instruments which are basically worthless, compared to relatively valuable systemwide upgrades. While it’s not a “steal,” it’s just about the lowest “M” fare I’ve seen from Delta for 30 hours of flying. I complained to the Tampa Airport parking garage…. Let us help you book your award tickets! NWA/Delta also has some reasonable M class fares to Singapore. They are also around $2000 from ORD-SIN and earn 1.5x EQM. At my work they will only pay for coach, but nobody balks about spending the $2k for me to get the upgradeable fare. It’s a great way for me to burn the otherwise useless NWA/Delta SWUs and if work requires I can even do a stopover in NRT which can be a real money saver.